may know more about the human brain, its anatomy and physiology, than about any other biological structure. But that is partly because there is so much to know. It is also true that there is more that we don't know about the human brain, (or its influence on addiction), than about any other biological structure. 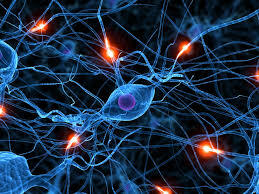 have a pathological basis in the nervous system that has not yet been discovered. the disease is appropriately treated with penicillin rather than psychotherapy. occurs in a literate society in which ability to read is considered normal. of organic (neurological) or functional (psychological) disorder. aspect of the individual's "personality."